How much is Thomas Ravenel Worth? 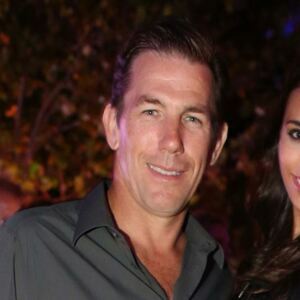 Thomas Ravenel net worth: Thomas Ravenel is a politician and reality television star who has a net worth of $6 million. Thomas Ravenel is one of the cast members of the hit Bravo show, Southern Charm and is also the former State Treasurer of South Carolina. Prior to running for office, Ravenel founded the Ravenel Development Corporation, which was a commercial real estate company. He ran for the US Senate in 2004 and came in third in the Republican primary. Upon losing his first race, he went on to run for State Treasurer in 2006 and won, but his political career was plagued with scandal. In June 2007, Ravenel was indicted on federal cocaine distribution charges. The charges that were filed allege that Ravenel purchased less than 500 grams of cocaine through an intermediary in Charleston in 2005, prior to his election as Treasurer. Governor Mark Sanford suspended Ravenel from his duties as State Treasurer upon learning of the charges and Ravenel decided to enter a rehabilitation facility. He was born on August 11, 1962 in Charleston and comes from a family with strong southern roots. His father, Arthur Ravenel, Jr is a former South Carolina Congressman and has a bridge in Charleston named after him to honor his work. Ravenel graduated from The Citadel in Charleston, receiving his B.S. in 1985, and later received his MBA from the University of South Carolina in 1991. Thomas Ravenel formerly dated Kathryn Dennis, who also appears on Southern Charm, and the couple has two children together. In season 2 of Southern Charm, Ravenel re-entered the political ring and ran for Senate, unsuccessfully. Thomas Ravenel earns a salary of $25,000 per episode of Southern Charm.